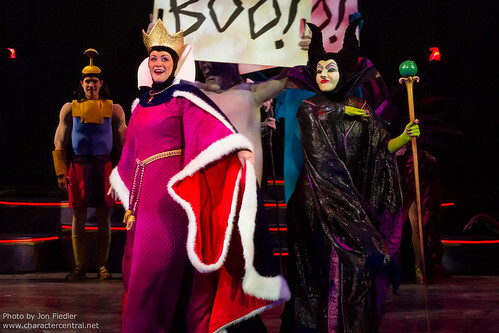 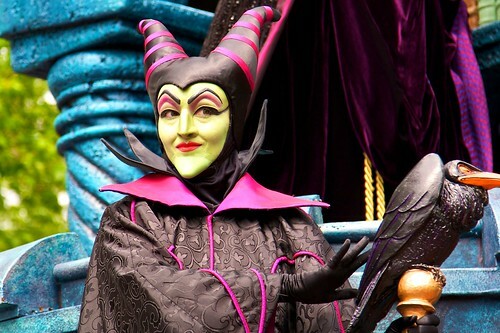 Living in the Forbidden Mountains, the Mistress of All Evil and the Wicked Fairy Godmother to Princess Aurora, Maleficent is one of Disney's most dangerous villains. 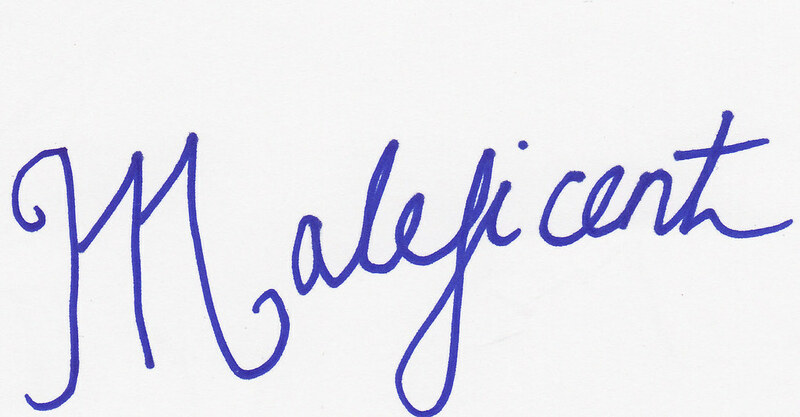 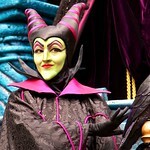 Maleficent is all knowing, all seeing and all powerful. 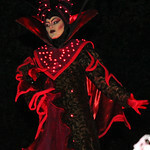 She appears unexpectedly at Aurora's Christening celebration, and puts a curse on her so powerful that the magic of the Three Good Fairies can only weaken the curse, not dispel it. 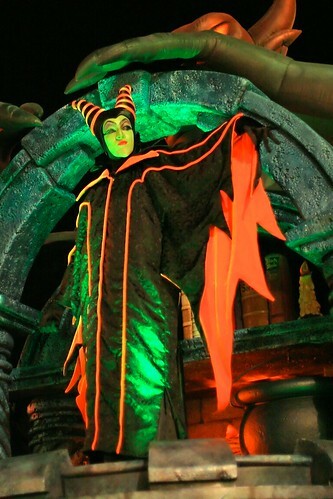 Able to transform herself into a fire breathing dragon, apparate at will and cast powerful dark magic upon her victims, Maleficent is truly a force not to be messed with. 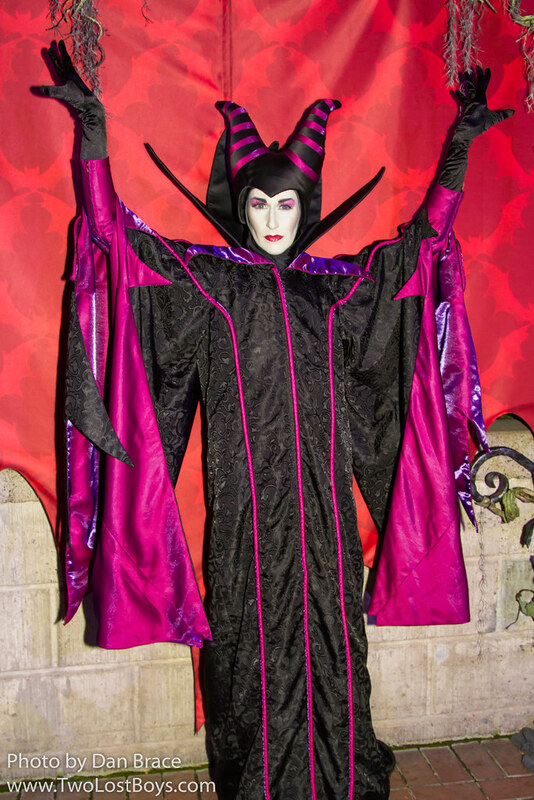 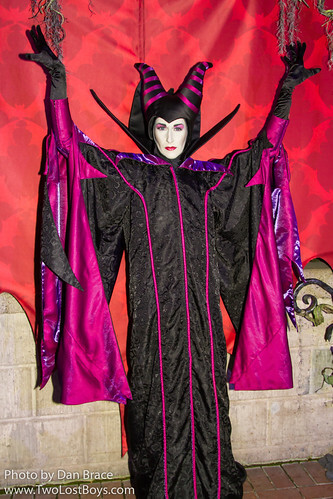 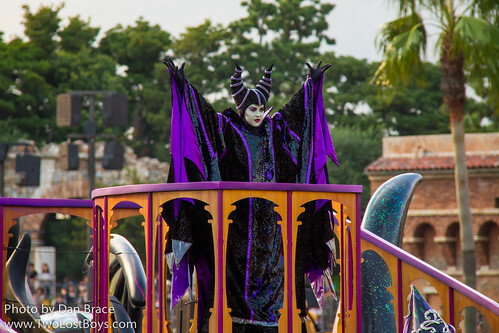 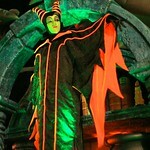 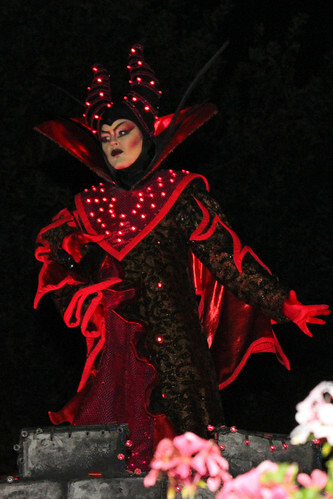 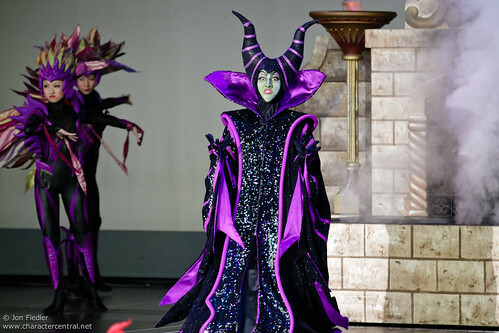 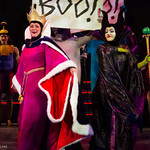 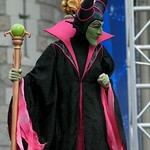 Maleficent rarely makes appearances at Disney Parks outside of Halloween Season. 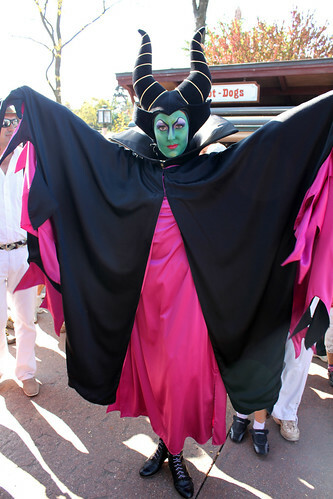 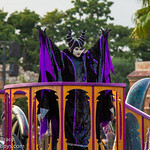 the current status of her meeting in the Magic Kingdom for Halloween s unknown since for the first time last year WDW implemented a new dining option and took Maleficent out of the party. 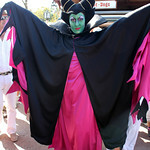 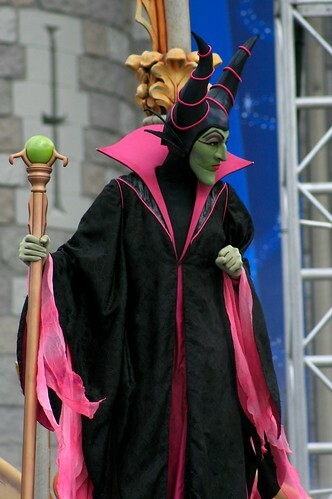 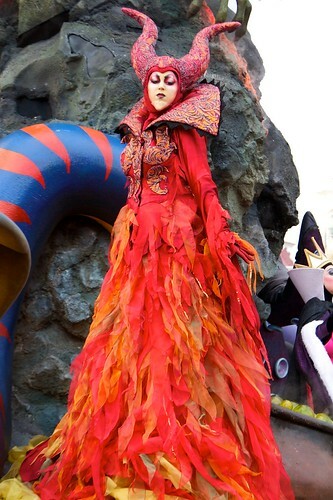 At Disneyland and Disneyland Paris, you may find her at the Halloween villains greeting during the day or at the Halloween parties. 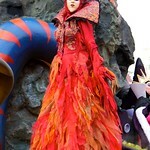 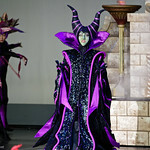 Maleficent does not usually appear in Tokyo or Hong Kong.